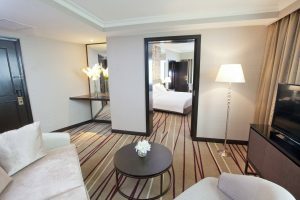 The Dorsett Kuala Lumpur brings you a revamped stylish chic space. 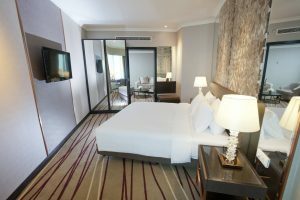 The Dorsett Kuala Lumpur underwent a major makeover to give their guests a renewed experience right in the heart of Kuala Lumpur. With 322 guestrooms including 27 suites that is now decked out with a refreshed look and feel – they have been redesigned with the comfort of their guests in mind. Expect spacious rooms and fully functional necessities for the savvy traveller on the go – and of course, a pillow menu to choose from for a well-deserved night’s rest. 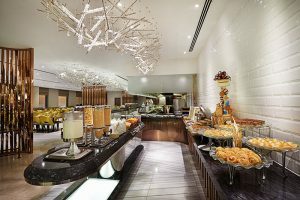 Dine at The Dorsett Kuala Lumpur’s refurbished all day dining Checkers Café while basking in the daylight of the expansive space. Don’t forget to grab a drink at the rich and contemporary looking Windows Lounge located at the hotel lobby that is complete with an open bar. Decked in tones of deep blue carpeting complemented by furniture in golden hues, the Windows Lounge offers guests a glimpse of the bustling KL city life through its full height windows. 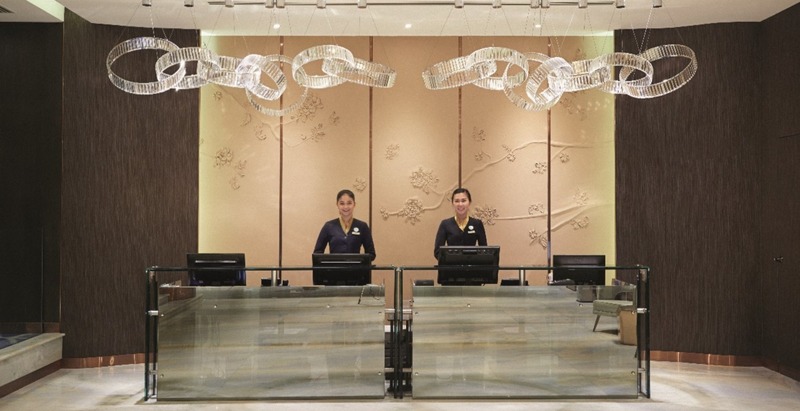 The Dorsett Kuala Lumpur also offers four multi-functional spaces with a seating capacity ranging from 200 to 150 people – perfect for events ranging from corporate functions to wedding receptions. *This offer is valid throughout March 2018.